You’ve just arrived at The Towers at Pacifica, Los Cabos’ newest luxury resort, and you’re almost levitating from breathing the clear Baja air. Inhale, inhale, inhale. 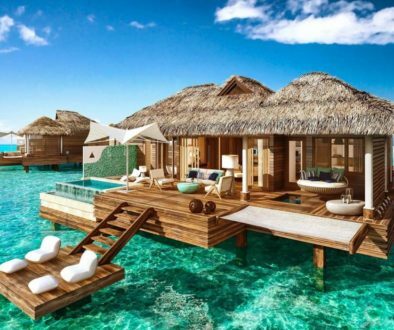 Does this luxury resort somehow arrange for fresher oxygen? 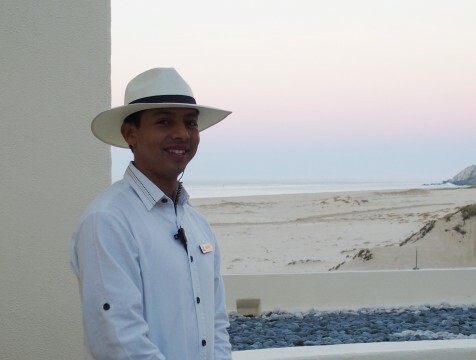 Immediately after stepping into the resort entrance you are met by Alexis, one of The Towers team of butlers assigned to meet your every need. 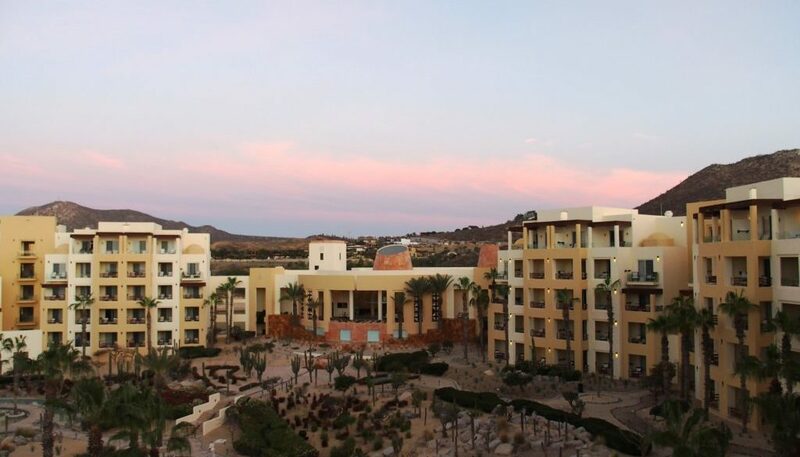 The Towers are the newest addition to the storied Pueblo Bonito family of all-inclusive resorts. 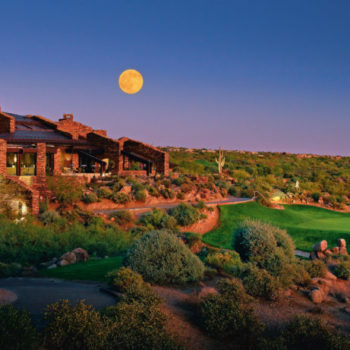 The Pueblo Bonito hospitality brand dates back to 1987. 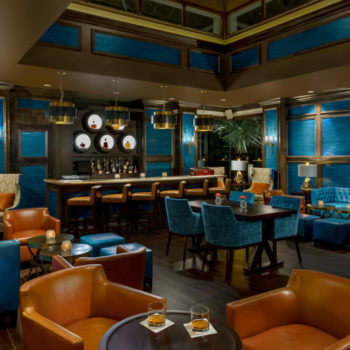 The 47-suite Towers are Pueblo Bonito’s most premium adults-only entrée featuring Butlers certified by the British Butler Institute. Alexis, your smiling host, lets you in on a little secret, he’s getting married in a week! Alexis is so smitten that his smile is contagious. 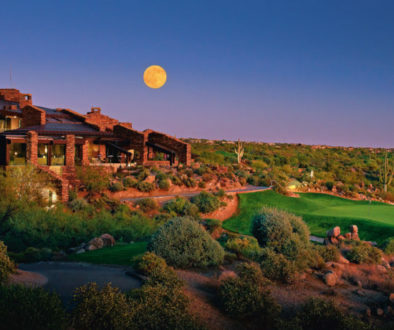 You find yourself caught up in his happiness as you trot along The Towers’ immaculately landscaped grounds leading up to the luxury suite you’ll call home for a week. You discover that the vibrant friendliness, courtesy, and attentiveness you’re feeling is part of the Pueblo Bonito culture. The December 2016 opening of The Towers is part of a resort within a resort concept that Pueblo Bonito is thrilled to introduce. The overwhelming early response on The Towers is evident in a winter occupancy rate of 94 percent. The sun rises, and you start the day with a hot cup of coffee on your balcony. Your suite’s sweeping view of the Pacific Ocean is a great way to decompress. You’re on vacation, so you saunter down for breakfast at the Peninsula Restaurant. You savor fruit, juice, and a croissant while observing the artistry of The Towers sand sculptor. You’re captivated watching Juventino shape a giant image of the sun on the beach. You learn that guests can make special requests for what they’d like as tomorrow’s image. This breakfast is one for the memory books as you ponder what’s on your first day’s itinerary. You’re recharged by your satisfying breakfast, so you sneak a glance at The Towers poolside activity board. 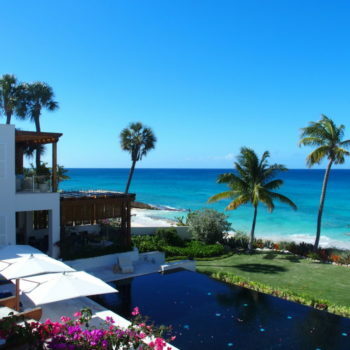 The eclectic array of options have you thinking twice about staying in relax mode. 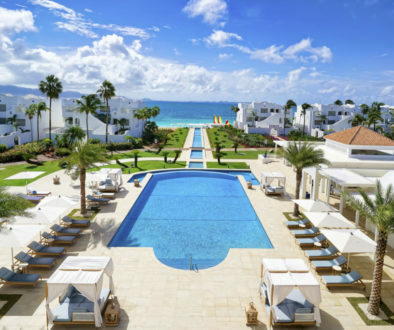 The activity board reveals that, amidst perfect 82-degree temperatures, you can indulge in salsa dancing, beach yoga, blackjack strategy, Spanish lessons, learn the perfect Margarita recipe, or even take on Thai boxing. On your first day in paradise, boredom is nowhere to be found. 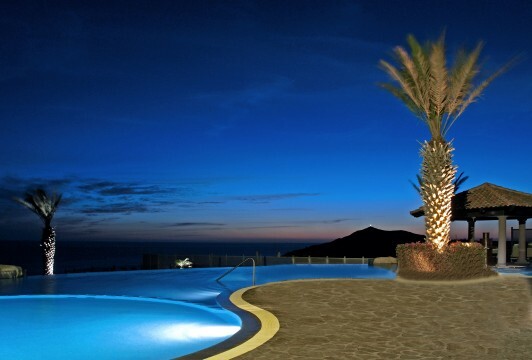 Pueblo Bonito’s The Towers has aligned itself with some of the most famous brands in the world. 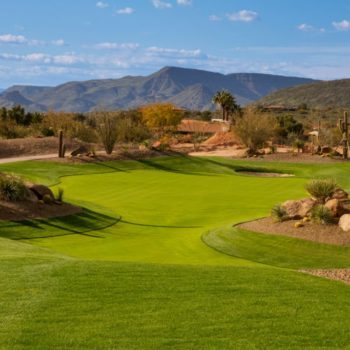 None other than Jack Nicklaus designed Pueblo Bonito’s new golf course. 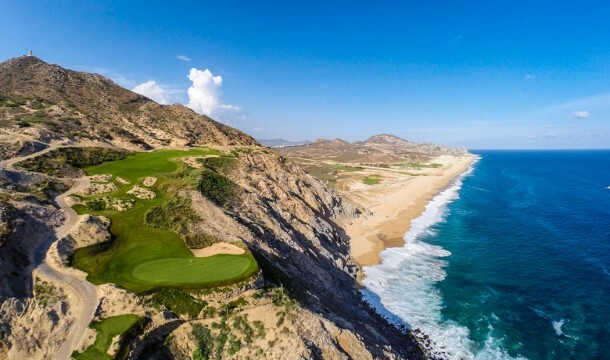 A three wood down the beach from The Towers is the amazing Quivira Golf Course, an 18-hole layout featuring extreme elevations and more ocean holes than any course in Los Cabos. If you wish to experience one of Cabos’ natural wonders, then an excursion is in order. Your concierge or butler can arrange for a whale watching tour. Los Cabos’ Pacific Ocean is famous for its steady humpback and gray whale migration during the winter months. 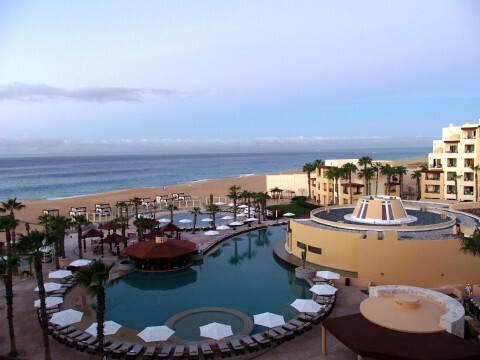 For many, simply relaxing is why they choose The Towers and Los Cabos. 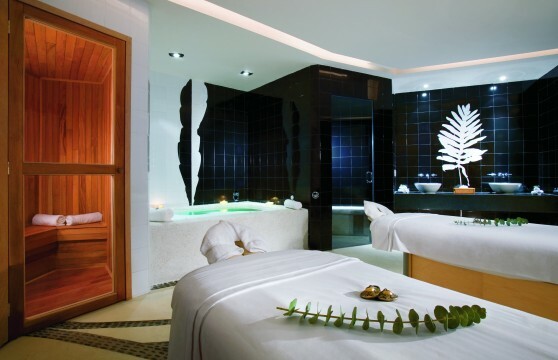 Plus, the word is out that Pueblo Bonito’s Armonia Spa is rated as one of the Top 5 Spas in the World. You’re in a no-lose situation while contemplating healing therapies, anti-aging facials, or the intriguingly titled Four Hands Massage. At a destination where the air is exceedingly fresh there is even a treatment billed as the Royal Oxygen Body. 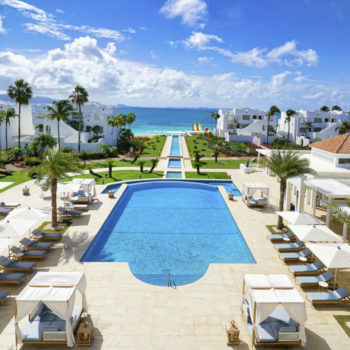 After your excursion, spa treatment, golf, swimming at the pool, or a delicious meal at one of The Towers’ four restaurants, you decide to stretch a bit and explore the beautifully landscaped grounds. Five minutes into your walk you stop dead in your tracks and ask about the colorful ornaments hanging from the trees. 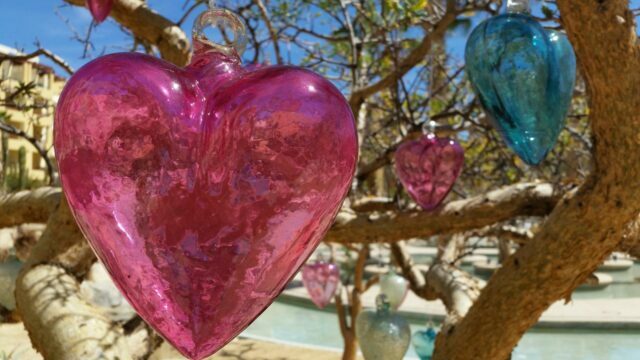 The courtyard trees showcase a family of glass hearts. Some are red, some are white, and some are gold. What is the story behind the hearts? 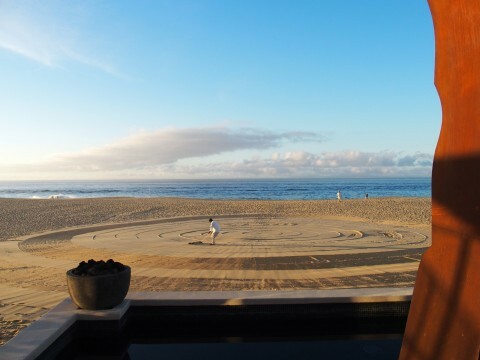 At the core of this multi-million dollar resort is an unspoken pledge to honor the Los Cabos environment. In a destination where the air is so fresh and the marine life is so plentiful, the hearts are a reminder to nurture what draws vacationers to the Baja. The hearts are created by a local artist from the hundreds of pounds of recycled glass that the hotel generates. Pueblo Bonito believes it’s important to give something back. This imaginative touch is another example of how The Towers is a luxury resort with heart. On your last day at The Towers, you bid farewell to Alexis, and take a deeply purposeful breath of extreme Los Cabos air. That’s when it hits you that The Towers at Pacifica has collected another heart. This time they’ve stolen yours.